I'm going to be preaching at the Coram Deo worship gathering at First Presbyterian Church Covina for the next four Sundays. It's a small (around 20 people) postmodern type worship gathering that was started a few months ago by a motivated group of young adults. I'm going to come in and teach and hopefully partner with them in creating a cohesive vision for the community. As much as I enjoy preaching in larger venues, I think I'm at my best in more intimate gatherings, when it's easier for me as an introvert to build relationships with everyone in the community. If you're in the area it meets at 5:30PM on Sunday night. I've deleted my original blog, Unresolved Tensions, and have made Introverted Church the official website of Adam McHugh. That sounds pretentious. 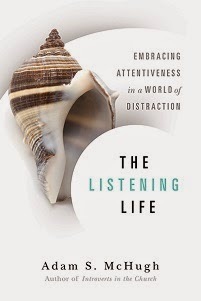 Anyway, I've added some other, non-introvert related audio sermons to the lower sidebar and I may slightly expand the topics I address here, especially as I continue to work on my second book, which I have now titled "A Life of Listening." But largely I see this as a place for introverts to gather and discuss the Christian life and ministry from our perspective. Please continue to comment and email me! I love hearing from you. I had the opportunity to preach a redacted version of "The Goals and Perils of Community Life" at Northminster Presbyterian in Diamond Bar yesterday. 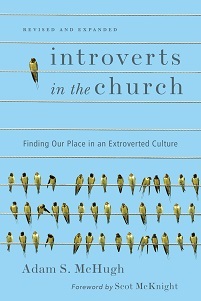 I continue to be amazed at the reception I receive when I talk about introverts in the Church. An amusing trend is people who come up to me and say "I never talk to the pastor after the service but I just had to say thank you." Introverts are coming out of the closet!